Bangalore’s sister city Mysore has might be the cultural (and erstwhile) capital of the state, but it has now taken a leaf from our book and got a microbrewery. 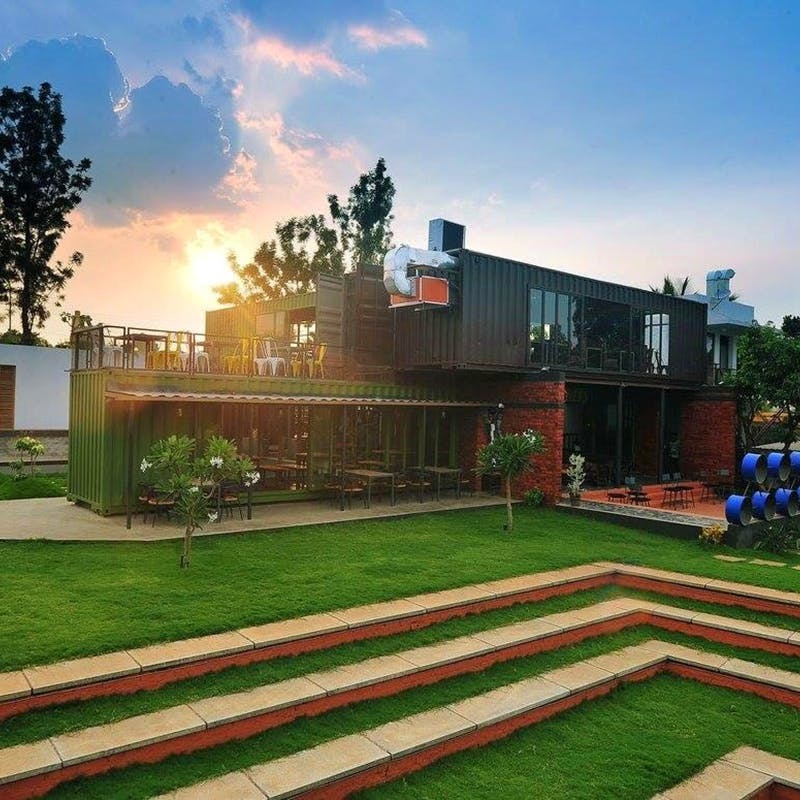 The first (and only, at the time this was written) in town, The Barge is perfect for people from namma ooru feeling the thirst for a cold glass of craft beer. Themed to look like a sailor’s haunt on the inside, the decor is made of anything that can be upcycled into furniture. Outdoors, they’ve got a more sleek garden look with their grey, red, and glass combination in sharp angles (great for photos we feel) Serving continental, Indo-Chinese and classic diner fare, when it comes to drinks they’re best known for their Wheat Beer (at a reasonable INR 175 per mug) of their six brews. They also have beer cocktails if that’s more your thing. And while you enjoy some finger food with that, sit at the outdoor space and enjoy Karaoke nights and Jukebox nights or any of the live acts they curate through the week at their amphitheatre.